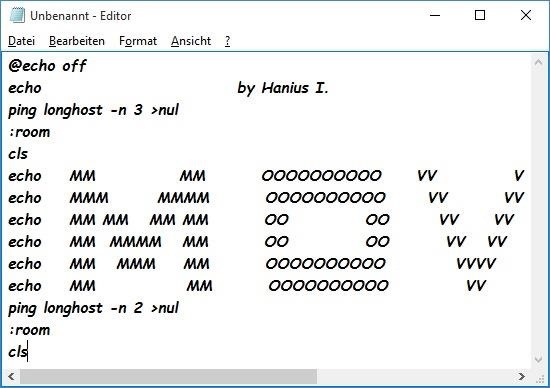 First, open your Editor (or Notepad++, ...). If you're finished and content, save it with the ending .bat. Now you can watch, enjoy and post your movies!